Water covers about 70 percent of Earth’s surface. And while the ocean depths are dark, mysterious, and largely unexplored, we at least understand what water is, and people have known its extent since sailors began mapping the oceans many centuries ago. But imagine that no one had ever seen an ocean or drawn the outlines of the continents. In such a world, a single stroll on a sandy beach, watching the waves roll ashore and feeling the cool salt spray in the air, would start a scientific revolution. Astronomers are at the dawn of such a revolution today. 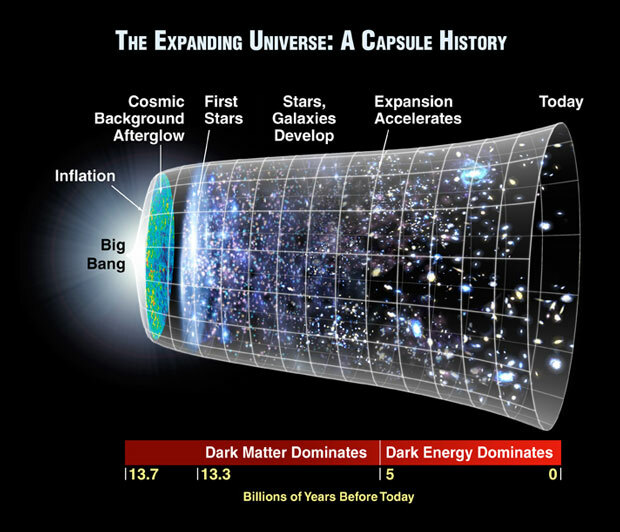 In the 1990s, they discovered a previously unknown "dark energy" that is causing the universe to expand faster as it ages. And they calculated that this energy constitutes about 70 percent of all the matter and energy in the universe. So far, though, scientists don’t know what dark energy is. It could spring from the vacuum of space itself, becoming a more dominant force as the universe expands and gets more spacious. Dark energy could be exotic new particles or other undiscovered physics. Dark energy could mean that our understanding of gravity needs an overhaul. Or it could be something completely different — perhaps something that no one has even thought about. It could require scientists to revise their ideas about the Big Bang, or even develop an entirely new scenario to explain how the universe was born. Learning about dark energy is far more difficult than sticking your toe in the ocean or toting a bucket of water back to the laboratory, though. Trying to find something that you didn’t even know existed until a few years ago will require scientists to devise clever ways of probing the universe and the history of its birth and evolution, and engineers to design new tools to study them. In the coming years and decades, astronomers will study exploding stars, map millions of galaxies, and plot the gravitational influence of dense galaxy clusters. 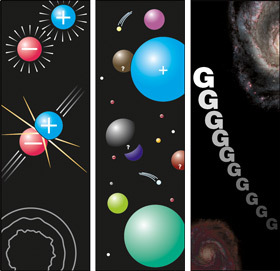 Particle physicists will probe conditions near the time of the Big Bang. And all of them will tweak their models of how the universe began, how it has aged, and how it will end. Their work will help us understand the vast cosmic "ocean" of dark energy — an ocean that we are just beginning to explore.